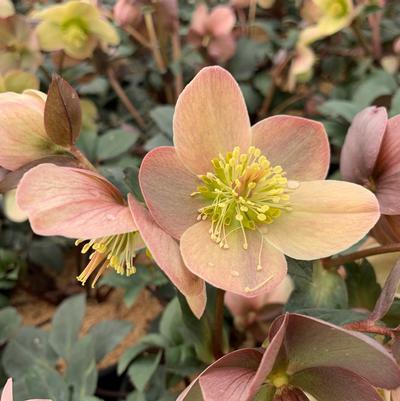 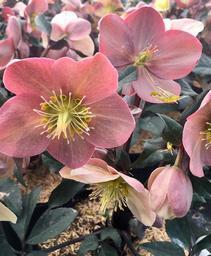 'Spring Party' ('Coseh 720') Gold Collection® Ballard Hellebore is one of the taller Heuger hybrids, with 3" outfacing creamy white blooms set off by dark green leaves. 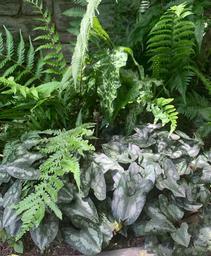 The foliage is evergreen and lightly veined with silver. 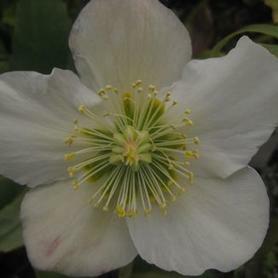 The blooming starts in March, and the long lasting flowers slowly age to an attractive light green. 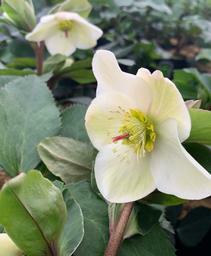 Helleborus 'Spring Party' is a cross between H. niger and H. lividus, which explains the bright white flowers.